Every child is different, but almost every parent has the same dilemma. Not enough time in the day to accomplish all of the things you would like to. Especially if you have a small, colic, or teething child. It is rough. You end up finally falling into bed at night, staring at the ceiling, thinking of all the things you wish you could do. Today I have a few tips of how to get things accomplished during your child’s nap time (and throughout the day). 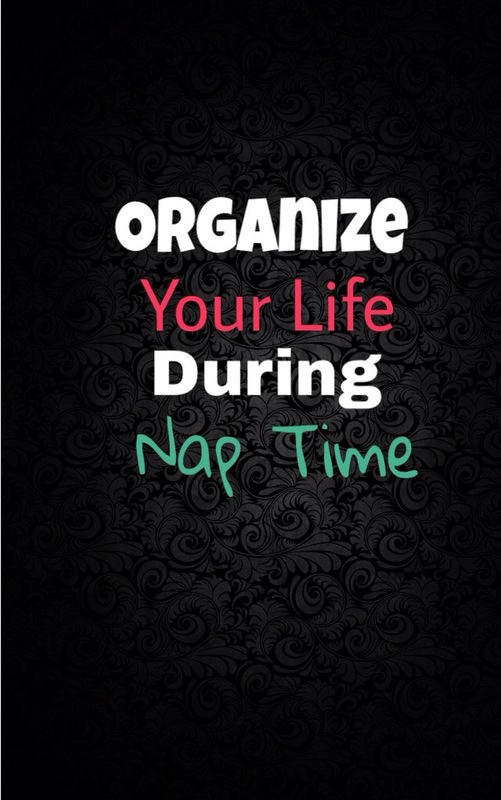 Not every child will have the same nap routine, but you should be able to easily mold this to fit your day. I am going to go off of a day where the child has two 40 minute naps. (my son does not nap this way yet, it is still 3-4 naps of anywhere from 20 min to 2 hrs). Try not to go back to sleep, adjust your schedule if you can to stay awake and maybe accomplish something before the kids awake. If your children sleep in (mine does not) get dressed (put on work out clothes to motivate you), have a cup of hot lemon water, and throw in a load of laundry. If you still have a quite moment left, read something inspirational to start your day. 10 min – You are already in your workout clothes, so hurry to the living room and do one of these 10 minute work outs. Ten minutes!! That is it! 15 min – Shower. Quite and without interruption…ahhhh. Get dressed in something other than sweats or workout gear, even if you are just staying in today. How you dress will motivate you. 15 min – Make any phone calls, appointments, pay bills, balance checkbook, etc. Use this quiet to organize your life. 25 min – Quiet time for you. Take a nap, read a book, catch up on your favorite TV show, paint your nails, take a bath. Try to stay away from just mindlessly browsing FB or Pinterest. This won’t actually relax you, but will leave your eyes tired and you groggy. Put away laundry and dishes. Have your spouse or older children help you. It is a great way to catch up on the day. Avoid electronic 30 min before bed. The screen of a TV, phone, or computer will strain your eyes, make it harder to fall asleep, and make you feel lest rested.